Per Andersson is Professor of Education in Linköping University, Sweden. His main research interests are recognition of prior learning, and the professional development of adult and vocational teachers. 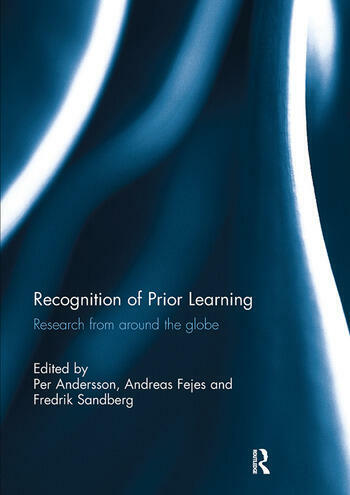 He is co-editor (with Judy Harris) of the book Re-theorising the Recognition of Prior Learning (2006). Andreas Fejes is Professor and Chair of Adult Education Research as well as Pro-Dean for Research and Doctoral Studies at the Faculty of Educational Sciences, Linköping University, Sweden. He has published extensively on issues pertaining to adult education, and is one of the founding editors of the European Journal for Research on the Education and Learning of Adults. Fredrik Sandberg is Senior Lecturer at Linköping University, Sweden. His main research interests are in adult learning and recognition of prior learning. He has published several papers on recognition of prior learning in journals such as British Educational Research Journal and Adult Education Quarterly.